I'm back with the regular schedule after being away from it for almost two weeks due to the maintenance and working on my blog and other things that life bring it from nowhere. You can say it's like going shopping for a specific list that you wrote before leaving the house but then ended up getting more stuff on the way, haha, and it's all because there were some other things you've seen in the way and had to get it. There will always be something unexpected comes in your way and whether make it less or more than you planned. Before I start the post, I hope all of you are having an amazing week so far and a good start for this year and doing well with your plans for this month as well and goals. Always remember to smile every day even when you are having tough moments because nothing will last forever and it's not worth the stress. 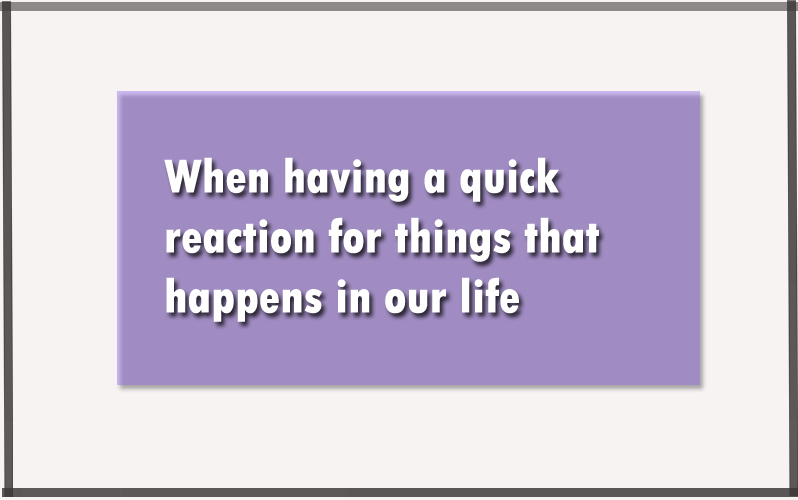 I've done a couple of posts that are funny and entertaining before in this blog about our life moments and it's reactions. If there is something that I want to do with my life is to try to make others day with the posts I write and today, there will be another one of these things that happen in our regular life, but I'm going to mention the funny side of it. Also, just a side note, I'm still thinking deeply of different ways to improve my purpose or goal of this blog, smile! Anyways, I'm sure there are moments when we take things so seriously once it happens which can turn our mode to mad or whatever and then after few minutes, we realize something different about it that makes us laugh on ourselves because of the quick reaction and thinking. It doesn't matter how bad you went with your thinking, it will still be funny and you will laugh. Unless you go too far which is kinda impossible at this point because it won't be like so so serious, just serious or maybe so serious, you know haha. Have you checked my previous post? The moment when you feel lost and don't know how to start. This could also happen with someone you know that made up everything for you without your attention for a certain reason. However, I'm talking about when it happens naturally which means no one is involved purposely, because this way, it will be even funnier when you realize it. We are here for entertainment and laughter, I hope you enjoy it and make sure to share your thought and be part of this community. This is something could happen in our daily life and it's so funny. Okay, I was browsing in my phone and just looking through some apps, then after a few minutes, I went to take the laundry and put them on the washing machine. However, I was holding my phone on my hand as I was carrying the clothes to the laundry room, and then I put them on the washing machine thinking that I threw my phone with them, haha and I freaked out, but then my brother told me that I put it on the counter in the living room and it was so funny how I reacted haha. Sometimes we zoned out to a point we forget what we did in the last minute and this is just one of it, you know haha. A random post from the blog, Some things that everyone could go through during setting goals. I think this would be the same when you just took out the money out of the pocket and then throw them into the washing machine, but think that it still there haha and freak out. 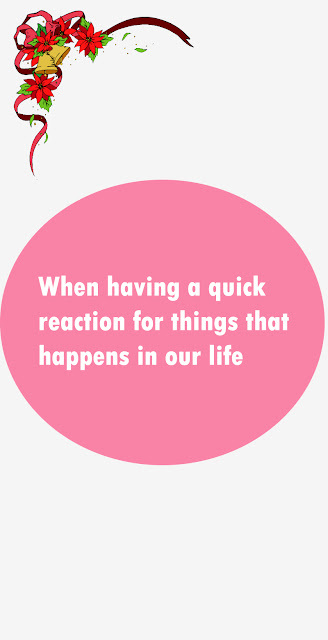 Also, we don't have time to think of what to do and how to do it because we think it will get ruined, and then just quickly react to the situation. It's almost possible that you won't laugh at this when you do it haha because it's so funny how we go too far with our reaction and think of it and how it was. Have you ever looked at an item which can be stretched to a point where you freak out that its gonna break? Well, this is something also would happen in our daily life sometimes. I bought new glasses that can be stretched to almost be a flat, and it was just one of the features and got it because this type is my favorite which I won't have to worry about breaking it. However, I didn't know that my sister doesn't know about this amazing thing was part of it. I was flexing on her by showing her how cool it was and she went crazy haha thinking that it will break because it was a little expensive. I'm going to be honest, she almost got me when she freaked out haha. Imagine you are doing something with confidence that it won't be a problem or something, but then because of the reaction of the other person, you started to doubt your thoughts haha. It was really funny when my sister did that and she just couldn't stop laughing at what she did. The last one is going to be social media related because I think this would be interesting for you to read haha. My friend and I were shooting a short video using one of these apps that let you make short videos and give you the option to save it as a draft. However, I was there to help, and once we finished filming, as he was walking toward me to see how I did with my filming, I saved in his draft list and he took the phone and saw nothing. Immediately, he thought that I shared it on public or deleted it and freaked out haha. I was like 'Aye, is everything ok? I just saved on drafts' and then after he realized that, he laughed on his reaction haha. I think when we be so excited about something we just don't think about anything but to see whatever is it that has been done. I would actually do the same if that happens to me haha because it's something we can't get away with once it happens, you know. This is just my opinion. Funny and entertaining moments happens almost every day in our daily life and I will be sharing more in the future. If you don't want to miss any of it once it published in the blog, subscribe to the blog through the box subscription below and I would really appreciate your support. Thank you so much for reading till this point and have an amazing Wednesday and filled with positive and laughter. Thanks for sharing! Pinned for others to enjoy!